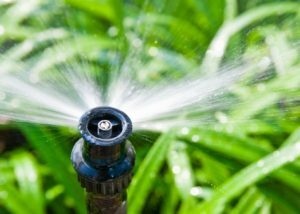 Water Your Lawn in Winter | Schulhoff Tree & Lawn Care, Inc.
Property owners often neglect to water their lawns in the winter. If enough snow and rain fall during the coldest months, watering isn’t a big concern. Your lawn should thrive when growth starts in spring whether you watered or not. When a fall or winter drought affects the lawn, however, you could lose significant portions of turf if you don’t irrigate the grass or sod. Here’s why watering matters in winter. Your grass may look dead in the middle of winter. However, beneath the top layer of dead grass is a thatch layer that has living roots poking into the ground. The grass is still alive, after all, or it wouldn’t be able to start sprouting leaf blades again in spring. If grass plants don’t receive adequate water in winter, the crowns of the plants dry out. A condition called winter kill develops. When spring arrives and your lawn starts growing, the unwatered patches of winter kill are bone dry and unwilling to grow. Lawn pests are drawn to the drought-stricken turf. You can easily avoid winter kill. From late fall to spring, continue to water your lawn every four to six weeks. Water more often during months when snow and rainfall are scarce. Irrigate your lawn only on days when the outside temperatures are above freezing and snow is thawing. Water the grass for a bit, then let the water soak in before you give the turf more water. Several waterings throughout the day will do more good than one long soak. In clay soil, excess water runs off the soil surface, so you need to soak clay soil more diligently than loam or sandy soils. Several areas in your lawn are more susceptible to winter kill and the turf pests associated with drought stress. Water these areas a bit more than the rest of the lawn to head off a serious case of winter kill. Areas of turf growing on shallow soil are likely to suffer from winter kill and the associated turf pests if the grass is not watered well throughout the cold months. Because the roots can’t get a good, deep hold in the scant soil, they can’t pull water from below the surface. Irrigate these areas well at least every four to six weeks. Winter kill of Colorado lawns is hastened by several species of mites. Colorado is home to a wide variety of beneficial mites, but three types of spider mites are deadly to turf. The three species are nearly always associated with drought stress in the lawn. The three types of turf-killing mites are clover mites, banks grass mites, and brown wheat mites. Clover mites kill grass close to upright spots like building foundations, trees, and other outdoor structures. The mites climb up the surfaces to lay eggs and shed their skin, then return to the grass within a few feet of the hatch/shedding site. The Banks grass mite (Oligonychus pratensis) is one of the most destructive of the turf mites. Populations of the Banks grass mite increase over the winter. The mites can decimate a large area of turf in no time once they become active in their preferred warm weather conditions. After the Banks grass mite kills grass, the turf becomes stiff and straw-colored. These spider mites are not easy to kill, but thorough irrigation of your lawn will both deter and help stop an infestation. When brown wheat mites (Petrobia latens) chew on your grass, they often settle in dry turf on south-facing lawns and sloping areas. These mites feed mostly in spring and do similar damage to lawns as clover mites. They don’t feed close to trees or buildings but love open landscaped islands and highway medians. Pesticides are often effective treatments. Irrigate vulnerable turf areas throughout the winter season to mount the best defense against the brown wheat mite. Some mites are as tiny as the period at the end of this sentence. A property owner may not be able to tell exactly which type of mite has infested their turf. Your tree and lawn care professional can identify turf mites and other mites to help you eliminate the pests and restore your lawn. Contact Schulhoff Tree & Lawn Care, Inc. to schedule an inspection of your winter-ravaged turf. We offer seasonal services including springtime turf-mite treatment in the Greater Denver region.